Its started when I saw my friend handheld device screen is always locked in landscape mode, I wonder why is it not featured on every Ice Cream Sandwich operating system phone? He said that he was using a simple application to lock the screen orientation permanently. Most of owners of standard-sized android phone like me, typing long writing (for example blogging) is better using landscape orientation rather than portrait orientation, because portrait mode in my opinion is more convenient to send short messages like texting, e-mail and messenger. 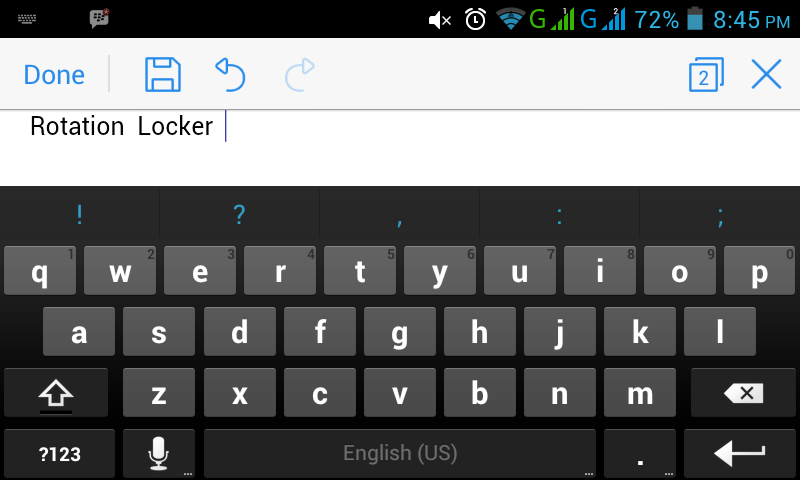 By using Rotation Locker, locking the phone screen orientation problem is resolved. This small application is very helpful for Android phone users who want to use a single screen orientation preference. 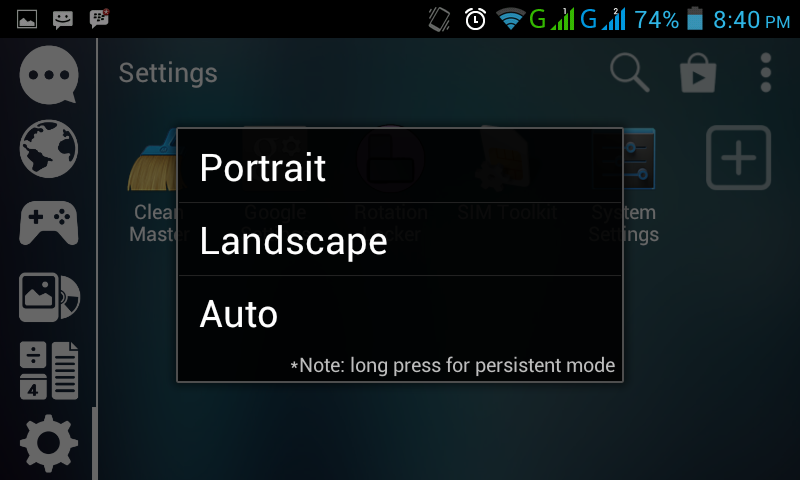 On the menu interface, there are three options to choose the mode from Portrait, Landscape and Auto. Simply press the option for longer, it will automatically make it permanent. Of course, this application does not run heavy and its size doesn't has huge memory but sometime it crashes when you use an application which require potrait mode.